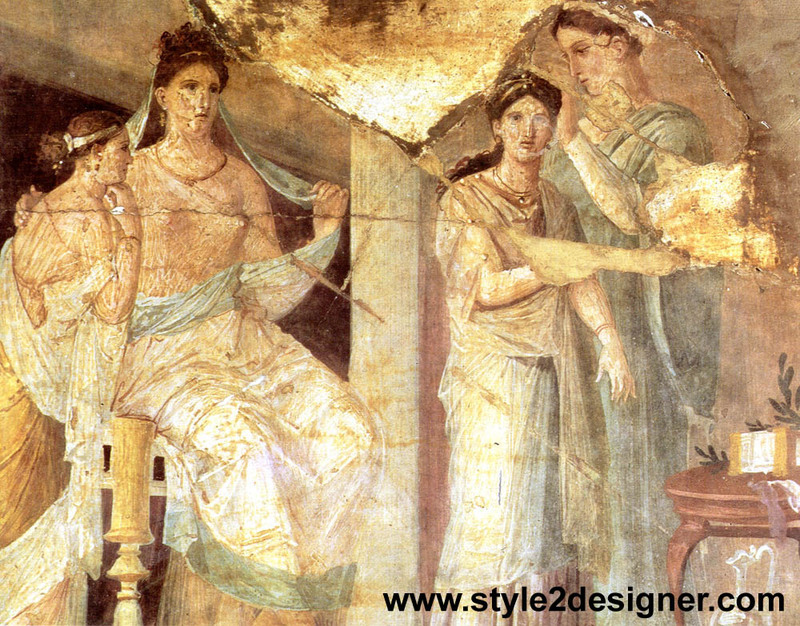 Fashion clothing of Roman Women: Roman women wore a long, belted, sleeveless dress called a stola, a type of dress. Over this was a large, rectangular shawl, known as a palla, which could be worn draped around the shoulders or looped over the head like a hood. Under the stola women wore a loincloth and sometimes a simple leather bra. Girls wore white until they were married, but after this they often wore brightly colored dresses. During the period of the republic, most women wore their hair tied in simple buns at the back of their heads, but by the time of the empire some very elaborate styles had developed. Wealthy women’s hair was curled and braided and piled into elaborate styles, held in place with dozens of pins. For special celebrations, wealthy women wore wigs, and brides wore several hairpieces for their weddings. Some women cut off their slaves’ hair and had it made into wigs or hairpieces. Some women who were of specific class bought wigs made from imported hair. Black hair came from Asia, while blond and red hair was imported from northern Europe. Some Romans used a brown hair dye made from walnut shells and wild onions. Some others tried to prevent their hair from going gray by applying a paste of earthworms and herbs!! Most wealthy Roman women relied on cosmetics to make themselves look beautiful, and slaves devoted hours each morning to making up their mistresses. It was very fashionable in Roman times for women to look pale, so women whitened their faces and arms with powdered chalk or a poisonous mixture made from lead. They darkened their eyebrows and eyelashes with soot and wore eye shadow made from ash or saffron. Color was added to lips and cheeks using red ocher, plant dye, or even the sediment of red wine. As well as applying makeup, Roman women liked to treat their skin with a variety of creams. They applied facials of bread soaked in milk and even used a cream made from crushed snails. Perfumes were very popular, and women kept their cosmetics and scent in delicate glass pots and bottles.